Check out our campaigns below! Moral Call to Climate Action - We will be partnering with several North Carolina organizations to pressure NC representatives to affirm the occurrence of human-caused climate change. 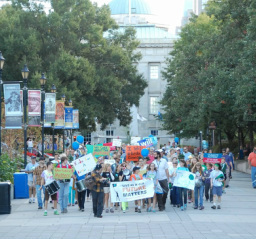 iMatter March for Our Planet - In September of 2013, 200 NC youth marched on Raleigh demanding action on climate change.